This is a look from a few weeks ago. As usual, it was raining in Manchester. However, I tried not to let it bother me and went all out in the pastel outfit. It did feel very bright! 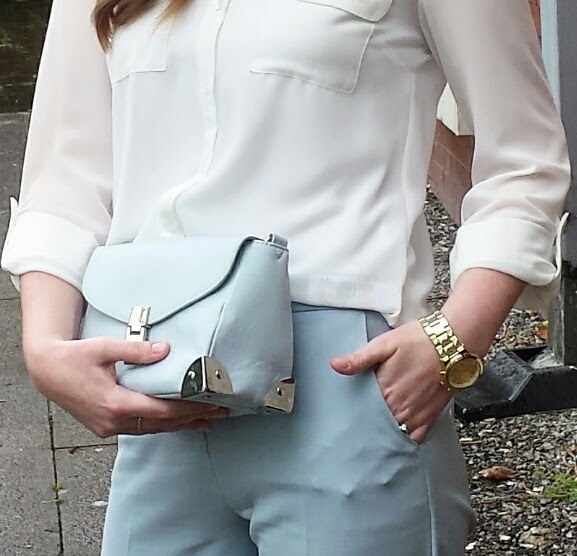 I'm usually used to dark colours, but I have fallen in love with powder blue this summer. I must have tried on 5 or 6 pairs of pastel trousers, all from Asos and all cut slightly differently. I found this tapered crop the best fit and very flattering. 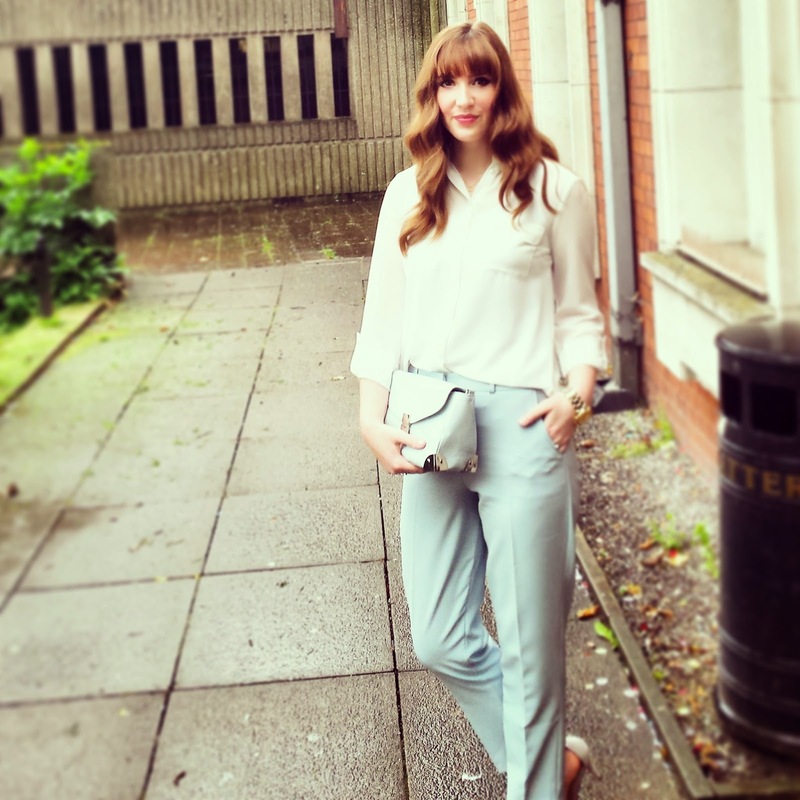 Cropped trousers are everywhere at the moment, they are such a universal look and suit most body types.